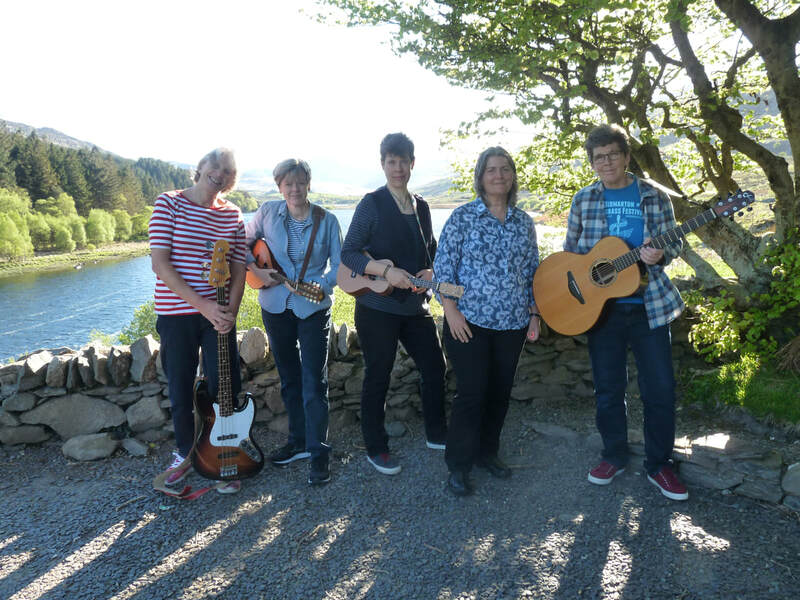 Sussex-based five-piece band, The Cheer Up Mollys, are staging a fundraising concert in aid of the Wadars 50th anniversary at The John Selden pub in Half Moon Lane, Salvington, at 7.30pm on Saturday 6th April. 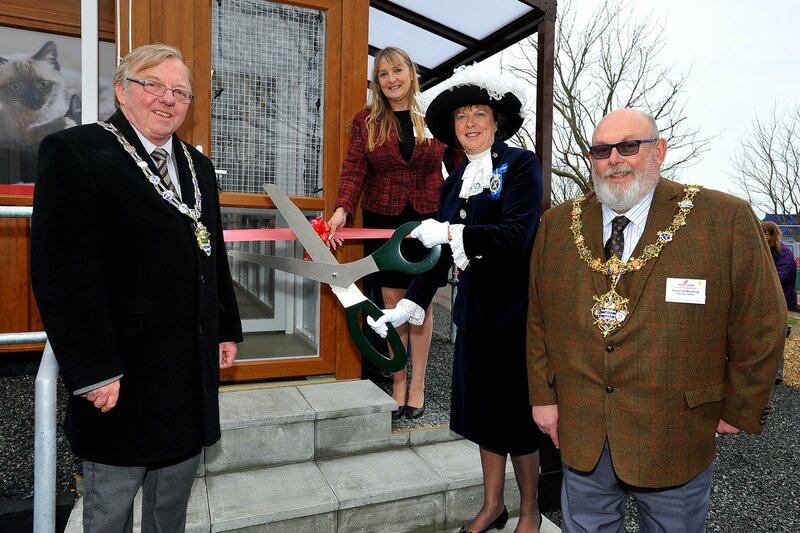 The High Sheriff of West Sussex, Mrs Caroline Nicholls DL officially opened the brand-new Wadars rehoming cattery at a ceremony which was held last week. Other VIPs at the event include the Chair of Arun District Council Cllr Alan Gammon and The Mayor & Mayoress of Worthing. The cattery is part of the first phase of development at the charity’s site in Hangleton Lane, Ferring, which has also included creation of a small wildlife unit in which to house wild birds, hedgehogs and other small mammals until they can be released back into the wild. The new purpose-built rehoming cattery can hold up to 34 cats and each pen consists of a large bedroom area leading to an enclosed run. With each pen individually heated, the bedroom can be closed off from the run during periods of cold weather. Several pens have lift-out sections which effectively join two areas together meaning that larger groups of cats can be accommodated if they have come from the same home. To find out about adopting a cat or finding a new home for your cat if you are unable to keep it, contact Wadars on 01903 247111. Silly Season comes around every year, just like clockwork! Staff at Wadars animal rescue are so sure they can set their clocks by the influx of orphaned and injured seagull chicks that they are called out to rescue each year, that they even hold a competition to guess the exact day that the first one will come in! 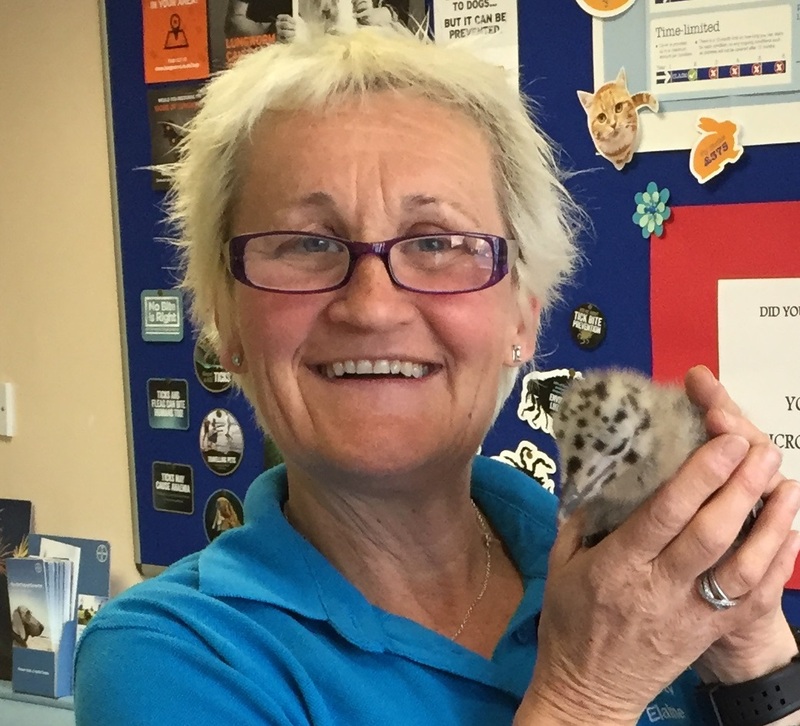 Wadars animal rescue, based in Ferring, has been rescuing wildlife and rehoming companion animals for the last 50 years, and is now calling on local people to help raise vital funds for its work by taking up its ‘50/50 Challenge’. It costs Wadars more than £400,000 a year to provide its services in the local community, and the charity relies on voluntary contributions to bring that money in. More than 90p in every £1 spent by the charity goes directly on animal welfare. Wadars Operations Manager, Tracy Cadman said; “The Wadars 50/50 Challenge is a really simple way for anyone to support us during our 50th anniversary year. Basically, we are just asking people to raise £50 for us in whichever way suits them. Even if people were able to donate just £1 a week then over the course of the year, they would reach the £50 target. Wadars will provide support for anyone taking up the 50/50 Challenge and in addition to advice, can supply sponsor forms; collecting tins; balloons; and blank posters for people to use to promote their challenge. 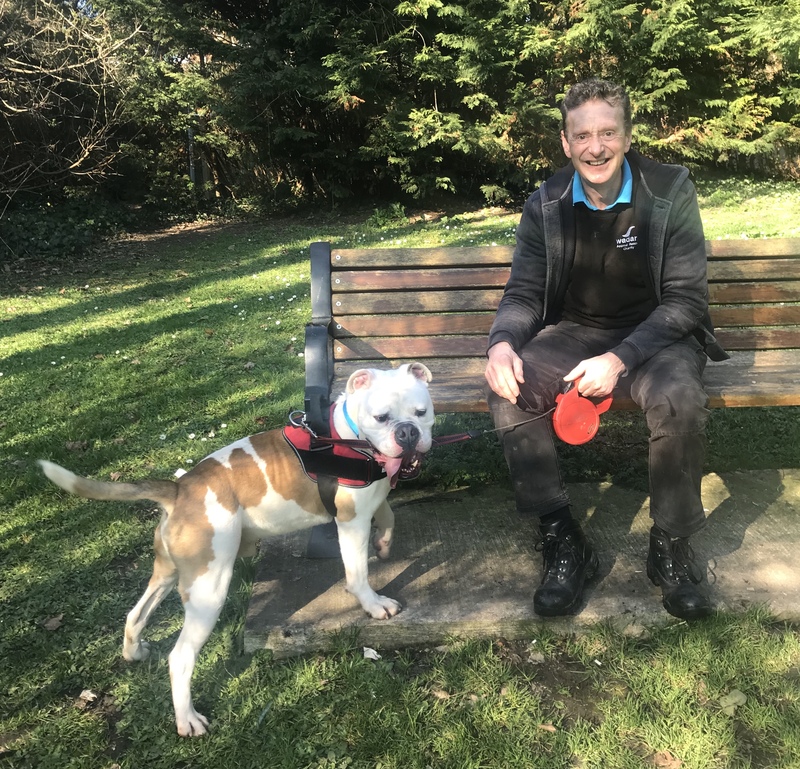 Bobby is a 4-year-old Bulldog cross who was signed over to Wadars for rehoming after his family had a new baby and were scared that he was too lively for them. He is a very friendly dog and despite being a big lad, Bobby is submissive with other dogs and rather scared of cats! He does need a bit of work in a home where he would need to receive some general training, but Bobby is basically a good boy who loves playing with his toys. Whilst he has been around children before, an adult home is probably best as he can be quite bouncy. He is a very friendly boy who just needs someone who will work with him to temper his boundless enthusiasm. Bobby has been looking for a new home since last August and is one of a number of bull breeds currently with Wadars. At the time of going to print the charity is also looking for homes for two Staffies; a Rottweiler; an American Bulldog cross, and a Mastiff cross. Wadars has been rescuing wildlife and rehoming companion animals for the past 50 years, and for almost half of that time, Billy Elliot has been a rescue officer with the charity. Before joining Wadars Billy ran a car body repair business in Worthing and knew about the work of the charity as he had been responsible for maintaining its fleet of animal ambulances for several years. 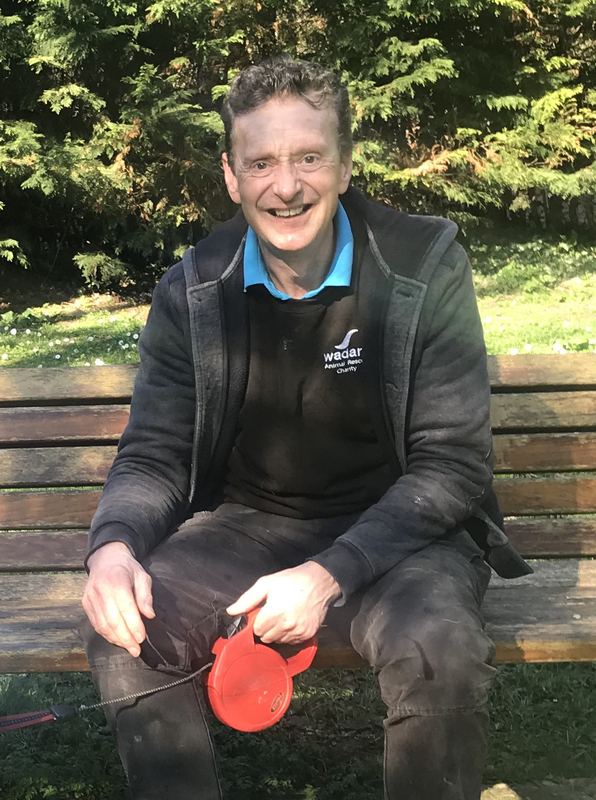 Billy works alongside fellow animal rescue officers, Elaine Sinclair and Julie Brewer, and between them they provide a seven day a week service in and around the Worthing area. Since it was founded in 1969, Wadars animal rescue has been known for its work with both wildlife and domestic animals, and whilst for most people that means dogs and cats, over the years the charity has also found forever homes for hundreds of rabbits, guinea pigs, and other small ‘fluffies’. Among them have been a number of rabbits which have had special needs and therefore require homes where they can live as indoor bunnies. One such little girl is Snowy, who is currently with Wadars looking for a new home. Snowy who appears to be deaf and has an involuntary head wobble, probably caused by an infection in the womb or at birth, doesn’t have the ‘flight’ instinct which is why she needs to live indoors where she will be safe. She is otherwise a very healthy and happy 18-month-old girl. 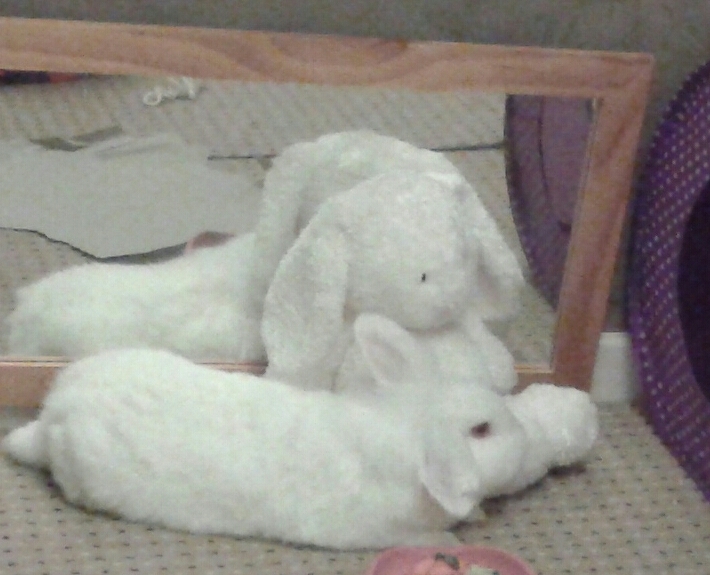 Wadars is looking for an indoor home for Snowy, where she can live with her own cuddly bunny. The charity also has a number of other rabbits looking for homes, so if you are interested in finding out more about adopting Snowy or another of the bunnies, please call Wadars on 01903 247111. It costs Wadars more than £400,000 a year to fund the various services that it provides in the local community and as the charity receives no statutory income, it relies on the generosity of local people to keep it afloat. During its 50th birthday year, Wadars is hoping that its annual Walk for Wadars event will be bigger and better than ever and raise thousands of pounds towards its work. The event takes place on Sunday 12th May and is a 5-mile sponsored walk which starts at Goring Gap Green near the Sea Lane Café and goes right along the prom to Worthing Pier and back. The route is flat and is suitable for young and old alike. Walk for Wadars is free to enter but all participants are asked to raise sponsorship for the charity, and organisers hope that this year money raised through the event will top the £10,000 mark. Participants don’t need to have a dog to take part, but well behaved two and four legged friends are all welcome to enter! Anyone interested in taking part will need to fill out an entry form, and can do so either by visiting the charity’s website (www.wadars.co.uk) or calling 01903 247111 and asking for a form to be emailed or posted to them. From time to time Wadars rescue officers are called out to deal with larger types of wildlife including trapped or injured deer. One such call was dealt with by Wadars senior animal rescue officer, Billy Elliot, who responded to a call from the Warden at the RSPB’s Pulborough Brooks nature reserve, reporting two young stags that were caught in some discarded fencing. 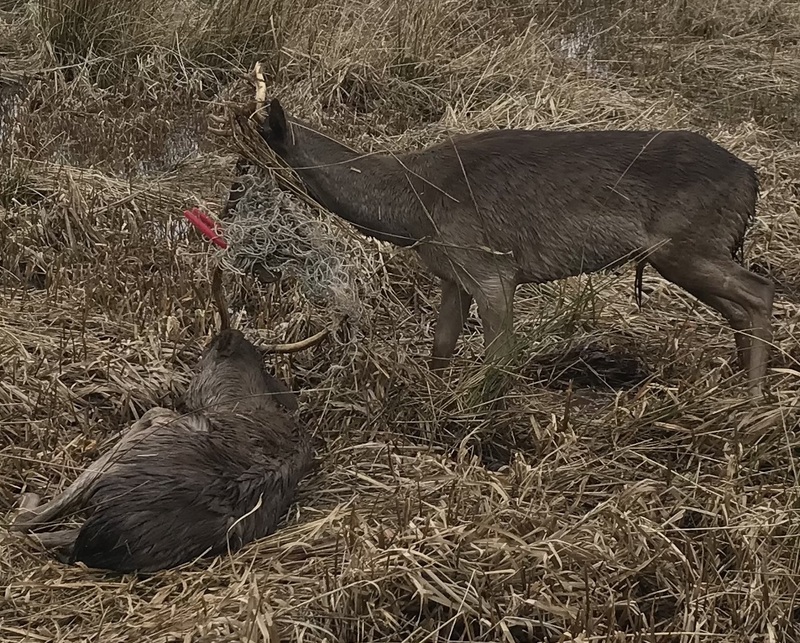 Not only were they both caught up, they were actually tethered to each other by the wire which was caught around both sets of antlers. Billy and the Warden eventually managed to remove the wire and the younger of the two deer immediately took off, whilst the older one was exhausted from trying to escape from the tangle and had almost drowned in the boggy ground. Rather than take him away, the decision was taken to move the exhausted animal to drier ground and leave him to recover, which he did and eventually disappeared back into the undergrowth none the worse for his ordeal! Two members of Wadars staff have this month been nominated for Employee of the Year in the Petplan & ADCH Animal Charity Awards 2019. 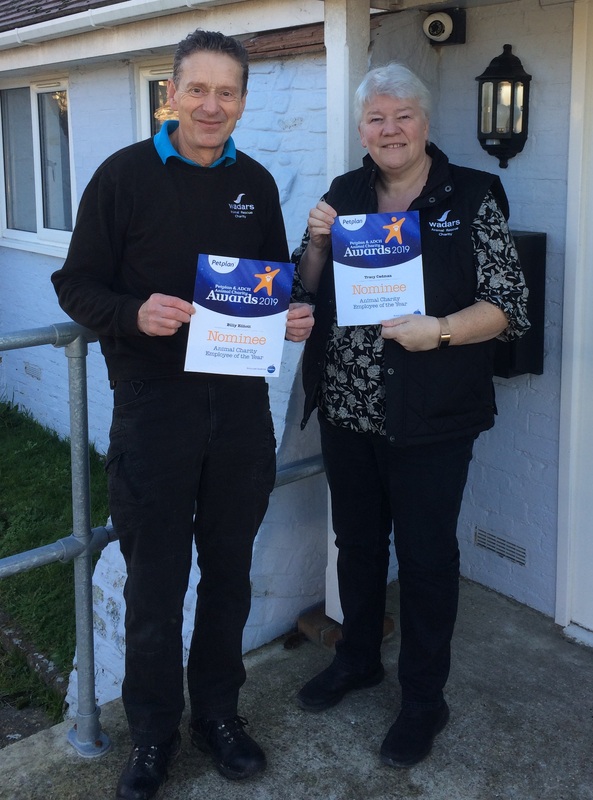 Senior Animal Rescue Officer, Billy Elliot, and Operations Manager, Tracy Cadman, have both received nominations for the award, which will be decided later in the year. Wadars has previously won the Animal Heroes and Charity of the Year categories in the Herald & Gazette Community Stars Awards. Over the last 50 years Wadars animal rescue charity has dealt with many thousands of wild and domestic animals and birds and last year alone it responded to calls from concerned members of the public relating to more than 1,350 wildlife casualties. A large proportion of the calls are about sick or injured birds, which can range in size from small garden birds to large birds of prey and swans. Each year between late May and September, Wadars Animal Rescue Officers spend much of their time responding to calls about young seagulls that have fallen from roof tops. In 2018 Wadars rescue officers, supported by a team of trained wildlife volunteers, responded to callouts to more than 600 seagull chicks. 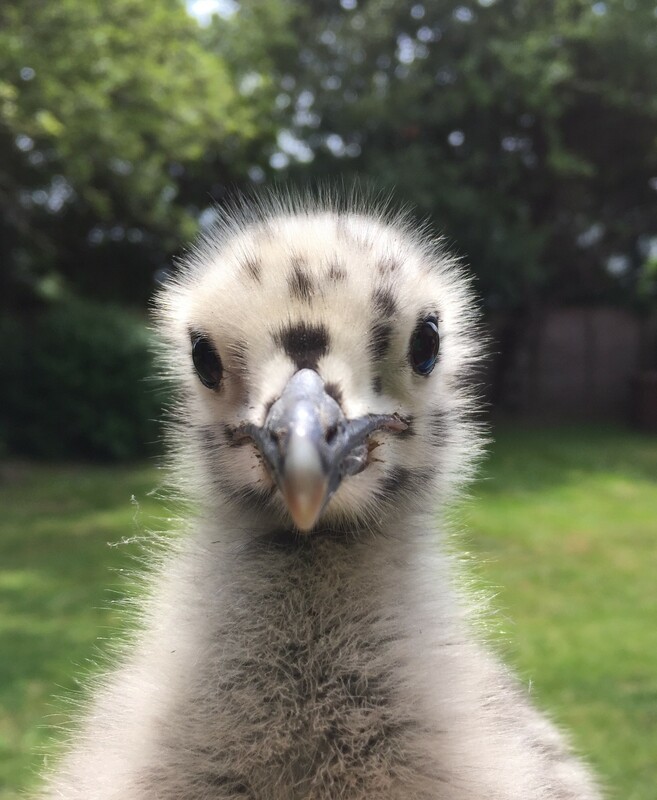 Wherever possible rescue officers will return the gull chicks back onto the roof that they fell from as they stand a much better chance of survival with their parents than coming into a wildlife centre. A few weeks before Christmas Wadars animal rescue officer Julie Brewer was called to a local garage to assist with a buzzard which had flown full pelt into the grill of a van that was travelling on the motorway near Portsmouth. Despite the bird being well and truly jammed into the grill of the van, the driver continued on to Worthing before he realised what had happened. Rescue officer, Julie was able to help cut it free and then took it along to a local vet where it was thoroughly checked over for any injuries. X-rays revealed that nothing was broken and after a short period of recuperation, the buzzard was eventually released by Wadars back into the area that it originally came from. Runaway tortoises and stowaway snakes – all in a day’s work for Wadars! Worthing based Wadars animal rescue is celebrating its 50th anniversary this year and over the coming weeks we are supporting the celebrations by highlighting just some of the many hundreds of stories that the charity has to tell. One such story involved a tortoise who was found straying on the M25 back in September 2009. Freeway as he was named by staff at Wadars, was spotted in the fast lane of the motorway during rush hour by a commuter who was on his way home to Worthing. Having first assumed he was looking at a piece of debris, the driver very quickly realised that it was moving and pulled his car onto the hard shoulder before running 400 yards back along the road to rescue the tortoise. The gentleman then dropped the tortoise off at a vet in Worthing, who gave it a check over and then handed it across to Wadars to be cared for. Sadly, despite attempts to trace his owners no one came forward and Freeway was eventually adopted by the vet that had checked him over when he first arrived in Worthing. Another story involved a local couple who purchased a suitcase from Argos in preparation for their forthcoming holiday. 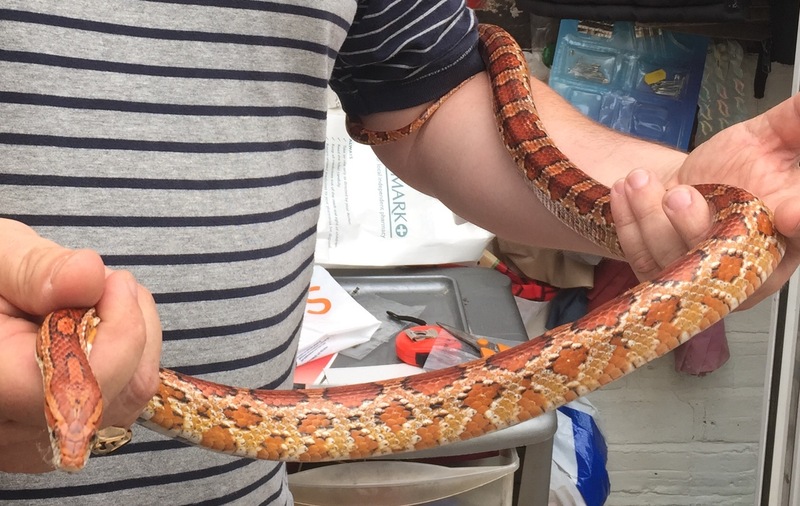 The large suitcase came in an even larger cardboard box, and when the couple got home and opened it up, they were greeted by a four-foot-long corn snake! The startled couple then called Wadars, and animal rescue officer Billy Elliot, went along to collect the snake. It was eventually handed over to a specialist reptile rescue centre who cared for it until it could be found a suitable new home. In order to help raise much needed funds during its 50th anniversary, Wadars will be staging a number of events and activities including its annual Walk for Wadars sponsored walk. The 5-mile route for the event, which is entirely flat and so suitable for young and old alike, starts on Goring Gap Green next to the Sea Lane Café, and goes right along the seafront to Worthing Pier and back. To enter Walk for Wadars, call the charity on 01903 247111 or log onto www.wadars.co.uk and search for Walk for Wadars. Join us to Walk for Wadars on Sunday 12th May!